At last! 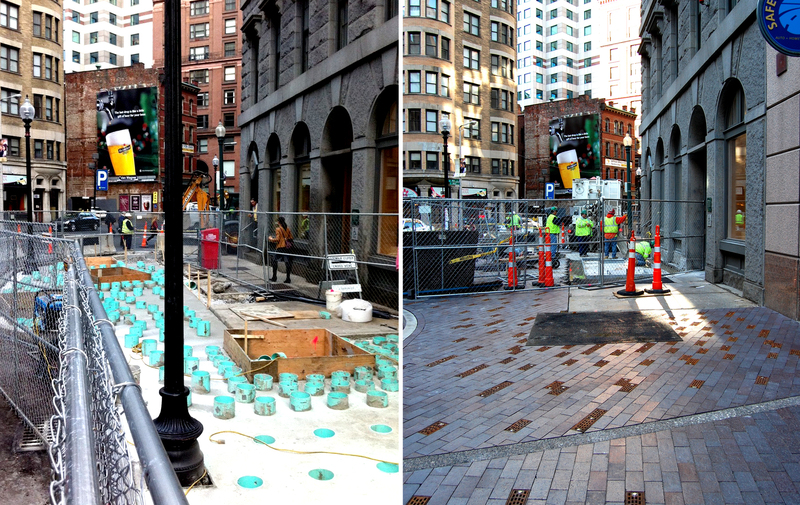 Our urban design for Broad Street is taking shape. They are currently installing our state-of-the-art storm water collection system, developed by our landscape partners Richard Burck Associates. What you see (above left) are the PVC water collection sumps, each of which is located beneath a custom drain inlet. Each drain inlet is the size of a brick (above right), and is integrated into the overall brick pattern of the sidewalk. It is essentially a porous sidewalk, which captures rainwater and delivers it to the roots of the adjacent Ginko trees, whose roots will be allowed to spread. Gone are the days of the sad, undernourished street tree!